The hottest spot for shopping in Kingston is at Devon House on the last Sunday of every month, starting on Sunday September 26, 2010 from 10 a.m. to 5 p.m. rain or shine! Its the revival of the downtown craft market with a twist, not just arts and crafts, but great local fashion, furniture, art, jewelry and organic produce. 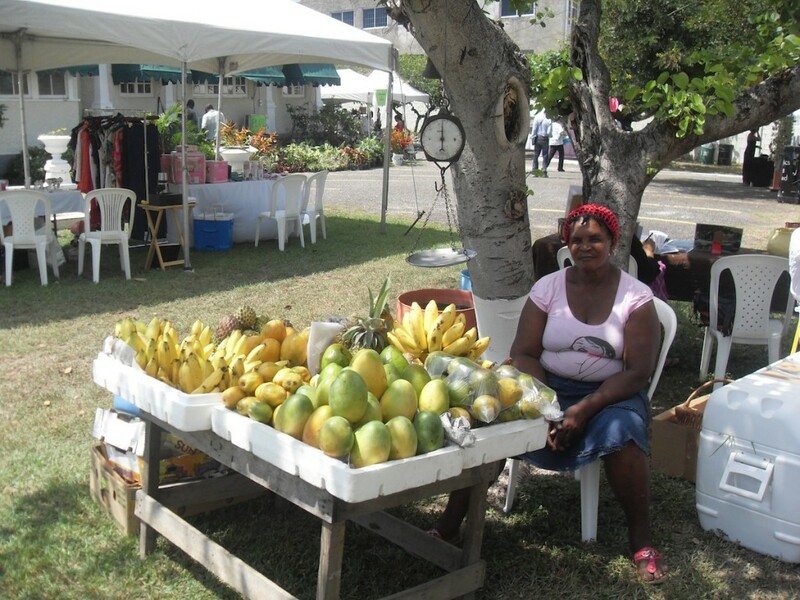 After staging successful markets from September through December in 2009 and an Easter Market in March 2010, Market at The Lawn took a short break, but is coming back with a bang at its new home on the North Lawn of Devon House. The relocation of Market at The Lawn from West Kings House Road to Devon House is a monumental move and I am very excited to see how this little concept has grown and will now be held at one of Kingstons finest public spaces where everyone will get to enjoy the great offerings from the vendors, says Kaili McDonnough Scott, founder of Market at The Lawn. 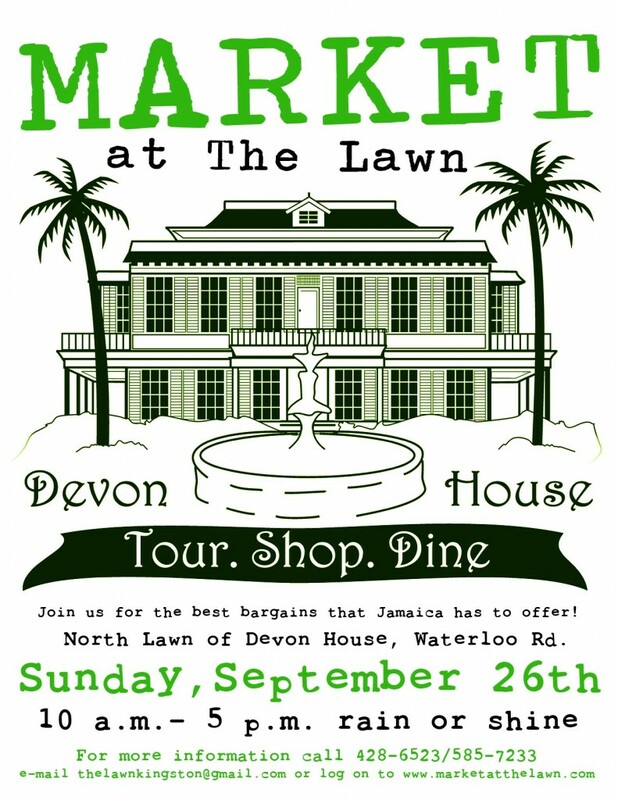 The Devon House Development Limited is the primary sponsor of Market at The Lawn, along with Wray & Nephew. Sunday September 26th, 2010 will be the kick off date for the Market, which will be held on the last Sunday of every month until December and two markets will be held during the festive season. This month patrons can look out for jewelry from Rebecca Issa and Alem Gems, clothing by Goddess, books for sale from MAPCO, photography from Howard Moo Young, art from Errol Walker, Richard Atkinson, Allan Richards, Barrington Lord & E. Dain McLeod, accessories from Firefly Boutique, accessories from The Wanderer, eyebrow threading and henna by Samena, clothing & accessories from Sultry, mosaic designs by Liz McAdam, clothing from Michelle’s Closet, My Elite Grocer, Sunrise Boutique, The Tryall Club, Jus Kool Collection, clay pots from Stanley of Barbican Square, fresh produce from Food Basket, sundried tomatoes from EAT, antiques by Faith, lucky bamboo plants from Sheila Chance, handwoven hats & baskets from Diane of the Kingston Craft Market, T-shirts from Cooyah, condiments from Connoisseur’s Choice, home accessories & jewelry from Amuse, delicious cocktails courtesy of Wray & Nephew, Torres wines also from Wray and Nephew, jerk from Truck Stop, oysters from Juicy and much more! Whether patrons are shopping or just browsing, a visit to Market at The Lawn is an easy way to spend a Sunday. Whats more is that all the prices are heavily discounted and there are bargains galore! I am looking forward to the new location and this partnership with Devon House, catching up with the vendors and kicking off the shopping season before Christmas, says McDonnough Scott. MAKRET AT THE LAWN THIS SUNDAY OCTOBER, 31! This Sunday from 10 a.m. to 5 p.m. Devon House will host “Market at the Lawn”, the revival of the downtown craft market with a twist. 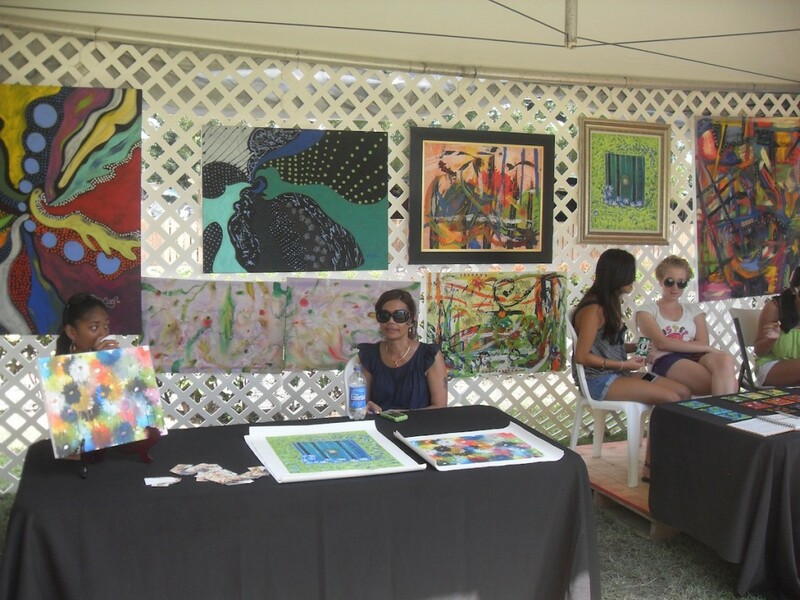 Having found a new home Market at the Lawn will once again feature some of Jamaica’s best arts and craft, local fashion, furniture, art, jewelry and organic produce. Starting back in September 2009 at West Kings House Road, Market at The Lawn took a short break but is back at its new home on the North Lawn of Devon House. Kaili McDonnough Scott, founder of Market at The Lawn, explains “the relocation of Market at The Lawn from West Kings House Road to Devon House is a monumental move and I am very excited to see how this little concept has grown and will now be held at one of Kingston’s finest public spaces where everyone will get to enjoy the great offerings from the vendors”. This month patrons can look out for jewelry from Rebecca Issa and Alem Gems, clothing by Goddess, books for sale from MAPCO, photography from Howard Moo Young, art from Errol Walker, Richard Atkinson, Allan Richards, Barrington Lord & E. Dain McLeod, accessories from Firefly Boutique, accessories from The Wanderer, eyebrow threading and henna by Samena, clothing & accessories from Sultry, mosaic designs by Liz McAdam, clothing from Michelle’s Closet, My Elite Grocer, Sunrise Boutique, The Tryall Club, Jus Kool Collection, clay pots from Stanley of Barbican Square, fresh produce from Food Basket, sundried tomatoes from EAT, antiques by Faith, lucky bamboo plants from Sheila Chance, handwoven hats & baskets from Diane of the Kingston Craft Market, T-shirts from Cooyah, condiments from Connoisseur’s Choice, home accessories and jewelry from Amuse, delicious cocktails courtesy of Wray & Nephew, Torres wines also from Wray and Nephew, jerk from Truck Stop, oysters from Juicy and much more! “I am looking forward to the new location and this partnership with Devon House, catching up with the vendors and kicking off the shopping season before Christmas”, says McDonnough Scott. For more information please contact thelawnkingston@gmail.com. Cezar Releases Exciting Mixes of New Ballad "She Said"
Great info, will definitely check out these spots when next I’m in JA! The Novelty Trading Company Limited has worked with Kaili and the Market at the Lawn team in the past and it has been a great partnership and working experience. Regrettably, we will not be participating in this edition. However,we would like to take this opportunity to wish Kaili, the entire Market at the Lawn team, sponsors and all vendors/exhibitors a great success.